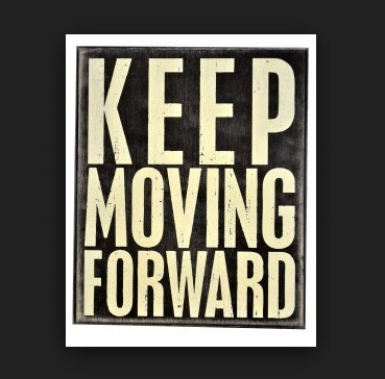 Reentry success is based on forward movement. That said, here's the rub. Moving forward requires direct contact with the FUTURE. Yikes! Lots of people, especially those with major background snags, hate this. Because just thinking about it produces bucket loads of angst and anxiety. "What's going to happen when this comes up? How to handle that?" There are lots of moving parts to any successful reentry. But there's one important ingredient that doesn't move. It's a concept, free and available to any reentry person just for the taking. Acceptance ... specifically, Strategic Acceptance. The antidote to angst and anxiety caused by stewing over events yet to come (the future), is acceptance. This however can be too big a pill to swallow for some folks. That's where "strategic" comes in. By strategic acceptance I mean that you, a background-challenged person, accept things as they are and as they come to you, to achieve YOUR objectives and reach YOUR mile markers. You may not like a certain situation, but you need to understand that avoiding it or worse yet, fighting against it, WILL NOT get you where you want to go. So, accept ... ON PURPOSE. Perhaps later you will be able to change things, but for NOW, accept and get on with working your plan. View acceptance, strategically, and each acceptance instance, tactically. Doing so will reduce the elephant to bit sized pieces and eliminate some of the angst and anxiety that creates resistance to forward movement.